The tale of the onstage fight between prima donnas Francesca Cuzzoni and Faustina Bordoni is notorious, appearing in music histories to this day, but it is a fiction. Starting from this misunderstanding, The Rival Sirens suggests that the rivalry fostered between the singers in 1720s London was in large part a social construction, one conditioned by local theatrical context and audience expectations, and heightened by manipulations of plot and music. 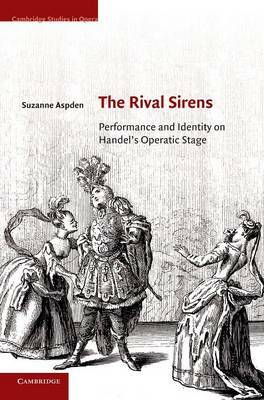 This book offers readings of operas by Handel and Bononcini as performance events, inflected by the audience's perceptions of singer persona and contemporary theatrical and cultural contexts. Through examining the case of these two women, Suzanne Aspden demonstrates that the personae of star performers, as well as their voices, were of crucial importance in determining the shape of an opera during the early part of the eighteenth century.